The high educational standards of EXCEMED are ensured through its Board of Directors and through its prestigious International Scientific Committee. Giancarlo Comi (President of the EXCEMED Scientific Committee) was awarded his MD by the University of Milan San Raffaele Medical School in 1973. He has been based in Milan ever since, studying in the field of neurology and holding many posts, including his current one as Professor in Neurology at the University Vita-Salute San Raffaele and Chairman of the Department of Neurology and Neurorehabilitation at the Scientific Institute San Raffaele, Milan. He is also the Scientific Director of the Multiple Sclerosis Centres of San Raffaele Hospital and of Az. Ospedaliera “S. Antonio Abate” in Gallarate. He is an active member of many neurological societies, being involved in numerous Steering Committees, and he is currently Vice President of the European Charcot Foundation. In addition, he is the Managing Editor for Topics in Neuroscience and member of the Editorial Boards for many international journals. He has published more than 400 papers, mostly in the area of multiple sclerosis and clinical neurology. Robert Fischer (Member of the EXCEMED Scientific Committee) is founder and Medical Director of the IVF-unit at the Hamburg Fertility Center, one of the largest and leading German IVF centers. In July 1998 the Fertility Center of Hamburg was one of the first centers in Germany and worldwide to introduce certified quality management according to the ISO 9001. In 2002 the IVF-Lab was ISO 17025 certified. Prior to this he was medical director of the first outpatient IVF-unit in Hamburg. 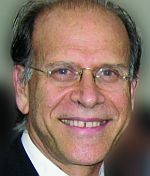 Author of numerous publications in national and international scientific journals and books, as well as lectures at conferences worldwide, Dr Fischer is an active member of the American Society of Reproductive Medicine (ASRM), Founding member of the European Society of Human Reproduction (ESHRE) and member of its advisory committee as well as Founding member of the “AG Gynäkologische Endokrinologie und Fortpflanzungsmedizin” (DGGEF) and “Berufsverband Reproduktionsmedizinischer Zentren” (BRZ) both in Germany.